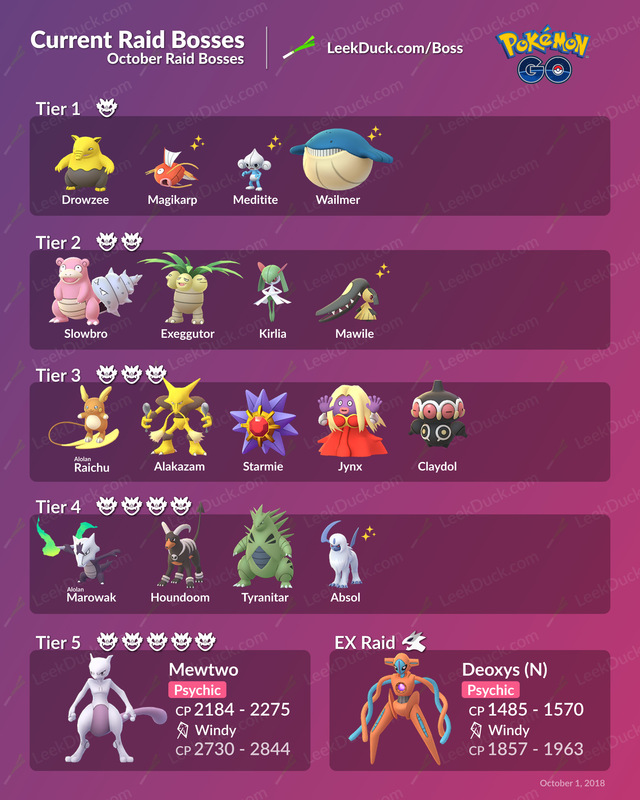 These are the Raid Bosses for the End of September/Start of October. They arrived on September 30, 2018. There isn’t an idea of when they will leave but they might change with the start of the Annual Pokémon GO Halloween Event.